Well, I did it! I’ve completed the 4-Week Activia® Challenge and I’m sad to be at the end of it! I’ve loved the variety and thinking of new ways to work the yogurt into my daily meals. The smoothies, yogurt parfaits, dill chicken wraps…there have been so many great recipes! My clothes are fitting better, my energy levels are up and I no longer suffer from that late night belly ache that too much sugar would cause. No, I didn’t completely cut sugar out of my diet but a few healthier choices throughout the day have made a difference in how I feel. 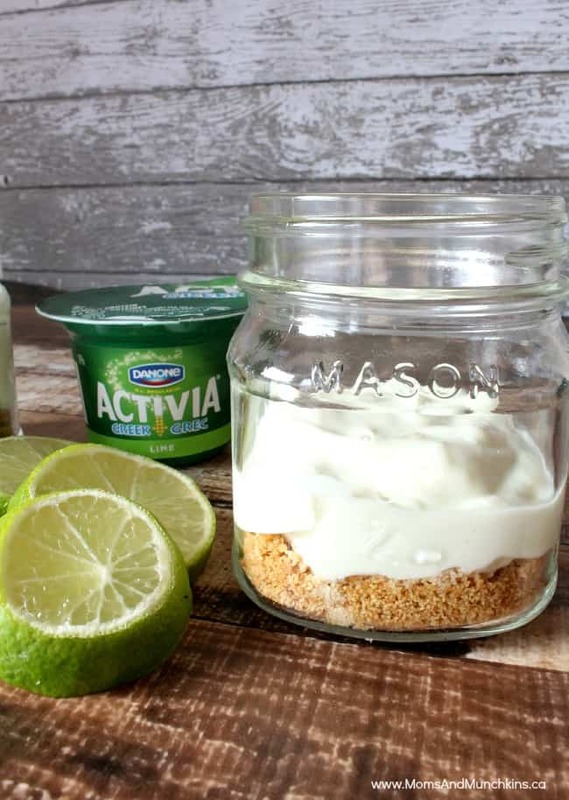 Simply put some graham cracker crumbs in the bottom of a dessert bowl and top with Activia® Greek lime yogurt. So simple yet so tasty! Even though my participation in the challenge is over, I still plan on enjoying the many Activia® yogurt varieties. My family and I are going to continue to enjoy the warmer weather by getting active outside more. With 2X the protein in the Greek yogurt, it’s a great way to stay energized on our long bike rides! I couldn’t end the challenge without a celebration, right? 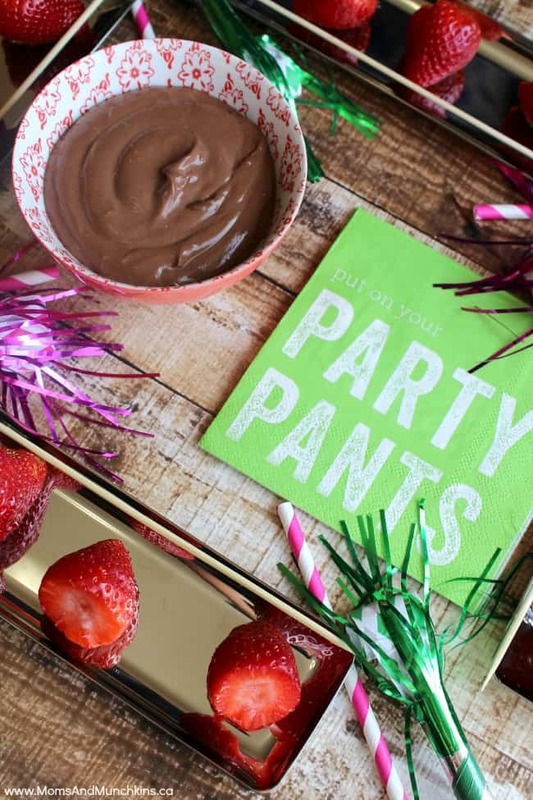 Well, get on your party pants because I have a deliciously sweet recipe to share with you! It may not be the healthiest option with the chocolate but we’ve earned a treat, right? 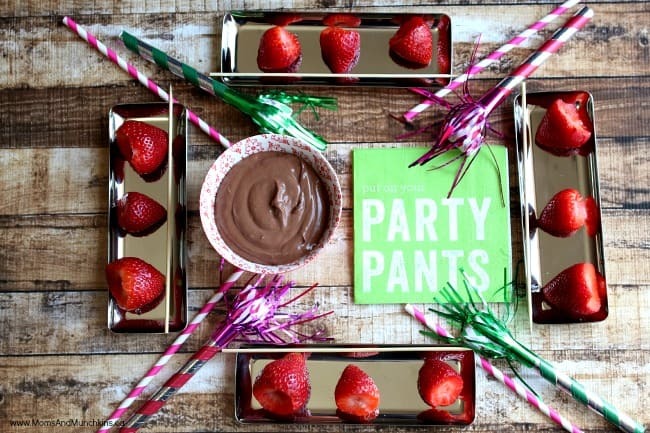 Chilled Chocolate Raspberry Fondue: Put 1/3 cup semi-sweet chocolate chips in a bowl. In a small saucepan, bring 1/3 cup of heavy cream (35%) to a boil. Immediately pour that cream over the chocolate chips and let cool for 5 minutes before stirring. Once the chocolate mixture has cooled, stir in one 100g container of Activia® raspberry yogurt. Stir well until mixed and serve with fresh fruit for dipping. Although my challenge is over, there’s still time for you to join the 4-Week Activia® Challenge. Signing up is free & easy! Simply visit the link above, log in your daily consumptions, and you could win some fabulous prizes! I’d love to hear how you’re doing on the challenge as well! You can leave a comment below or share your stories on social media using the hashtag #ActiviaChallenge. 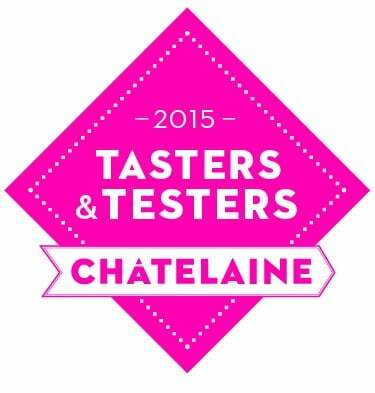 *Disclosure: I am participating in the 4-Week Activia® Challenge as part of Chatelaine Tasters & Testers. I was compensated for this post; however, all opinions and results expressed here are my own. I hadn’t heard of the 4-Week Activia Challenge before, so thanks for sharing! Congrats on completing it all of the way and for the improvements you noticed in your well-being. The pictures in this post are so well done!